"why dont you go back to school to be a dental hygienist or go back to the bank. Your animation degree was just for fun and now its time to get serious. " 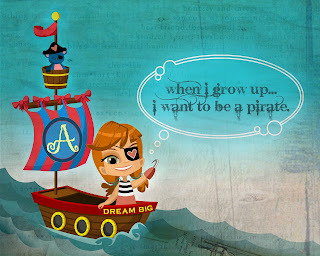 interesting... its as if i told them i wanted to be a pirate when i grow up, not sure if that would be better or worse than an artist...and i guess my response to that is...PIRATES UNITE! It's all good I've always wanted to be a pirate also! Um, this is super sick! I love the texuring you got going on and the composition is great! can't wait to see more, I am damn impressed by your stuff Nhu!